Hostmysite.com :: How do I utilize the Calendar? How do I utilize the Calendar? The following article explains how to utilize the calendar. 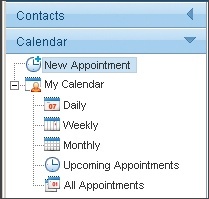 The calendar can be used to store appointments. Each user has their own personal calendar. They can share their calendar to other users if they wish. From the left side bar, click Calendar. Select the time period you wish to view, Daily, Weekly or Monthly. A calendar will appear displaying information for the selected time period. To the right of the calendar there is a smaller version of the current month as well as the upcoming month. Days that contain events on the smaller calendar will have their date in bold. 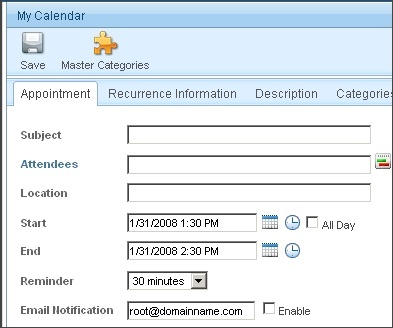 Access the calendar using the steps described above. Note: The remaining options are optional and can be filled in at your leisure. 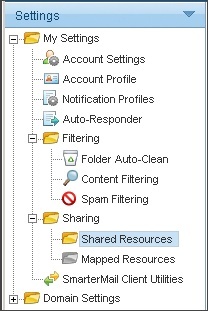 Expand Sharing and click Shared Resources. Select My Calendar and click Next. Select the Users or Groups you wish to share the calendar with. 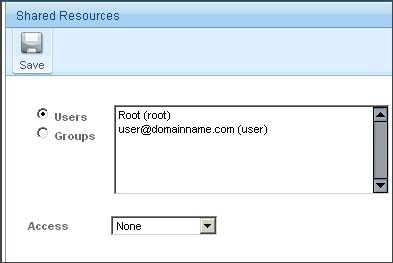 None: This resource is not shared with the user. This setting is useful if you give permissions to a group but want a specific user to be denied permission. 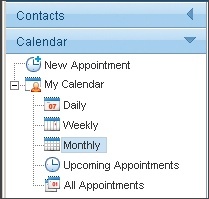 Availability-Only: This setting is used to show availability for you if the user clicks on the availability link when adding a calendar item. 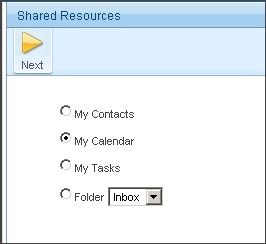 Other than this functionality, the calendar acts as if it is not shared. Read-Only: Grants view access to the resource, which lets the other user see your information, without granting any permission to change or modify the calendar in any way. Full Control: The user that has this permission can do everything on the calendar that you can, including moving items, changing things, and even deleting information.